goddess Mut – All Things AAFS! 08/01/2014 by All Things AAFS! Ancient Egyptian Brewer Tomb Unearthed. 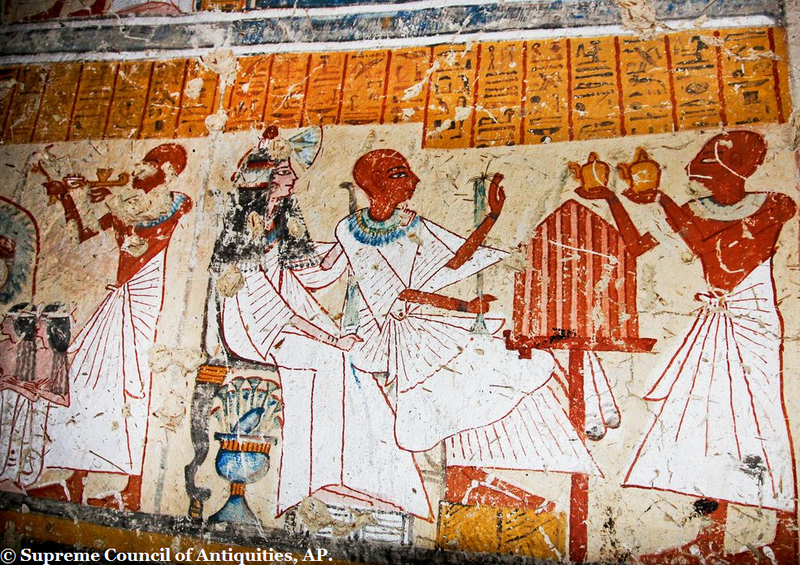 A magnificent painted tomb belonging to an ancient Egyptian brewer has been discovered on the west bank of the Nile. 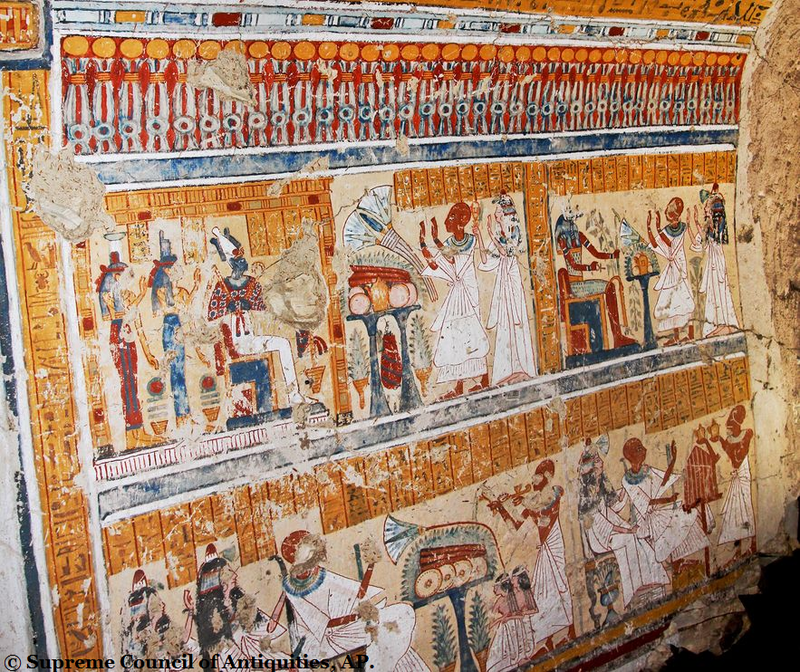 The painted T-shaped tomb is said to belong to Khonso Im-Heb, who is documented as being the head of granaries and beer-brewing for the worship of the Egyptian goddess, Mut. Khono Im-heb, bare-headed, and his wife depicted in two rituals with Egyptian gods: Osiris (top left), and Anubis (top right). The images that line the walls of the tomb illustrate numerous scenes of daily life, giving us an insight into the activities that occurred 3,000 years ago. The paintings colourfully show Khonso Im-Heb interacting with his wife and children, and their ritual practices for their worship of Mut. Khonso Im-Heb and his wife being presented with an offering from their son. The burial chamber was found in El Khokha, in the Valley of the Kings near the royal tombs. The tomb was unearthed by Japanese archaeologists, led by Jiro Kondo, from the Waseda University in Tokyo in December 2007.